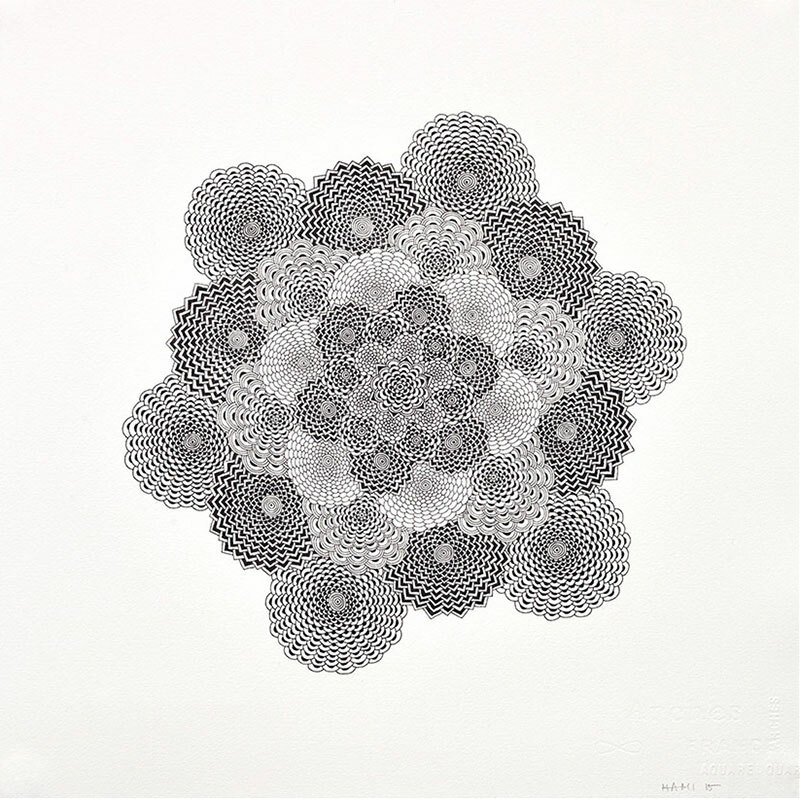 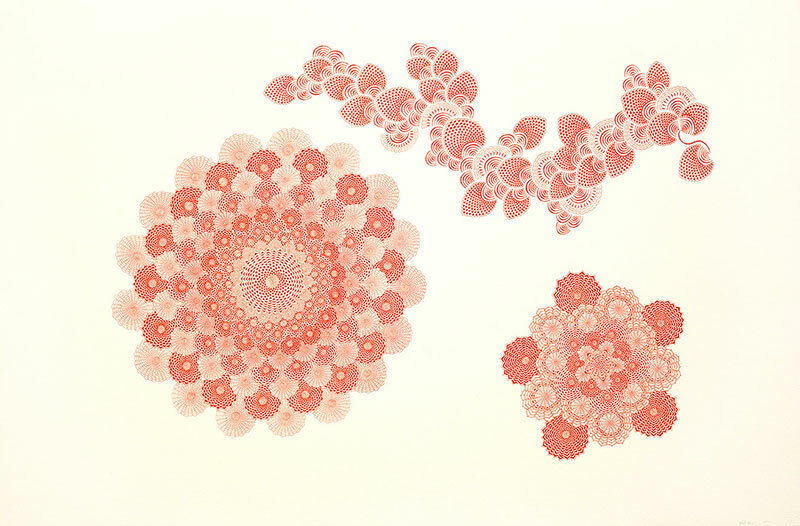 Complex pen and ink drawings of patterns by Japanese artist Mami Yamanaka based in Melbourne. 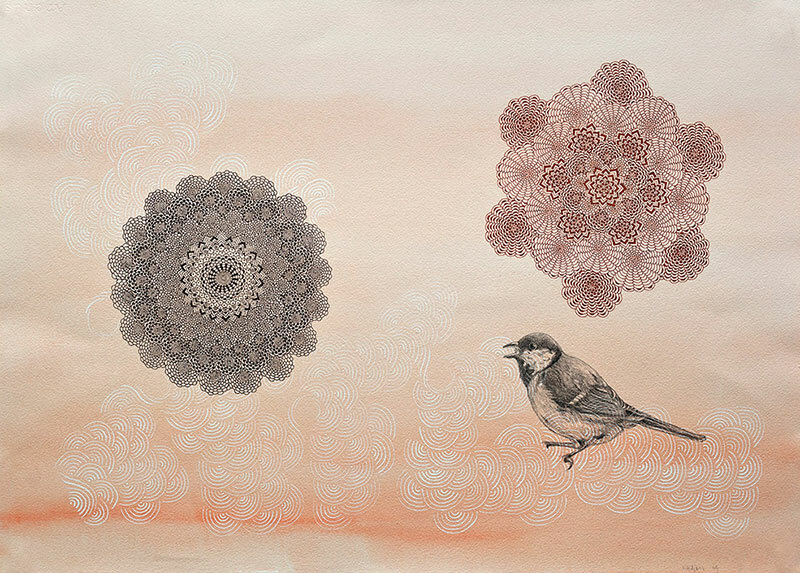 Starting with a single dot on paper, she draws outward intricate patterns reflecting nature's own act of creation. 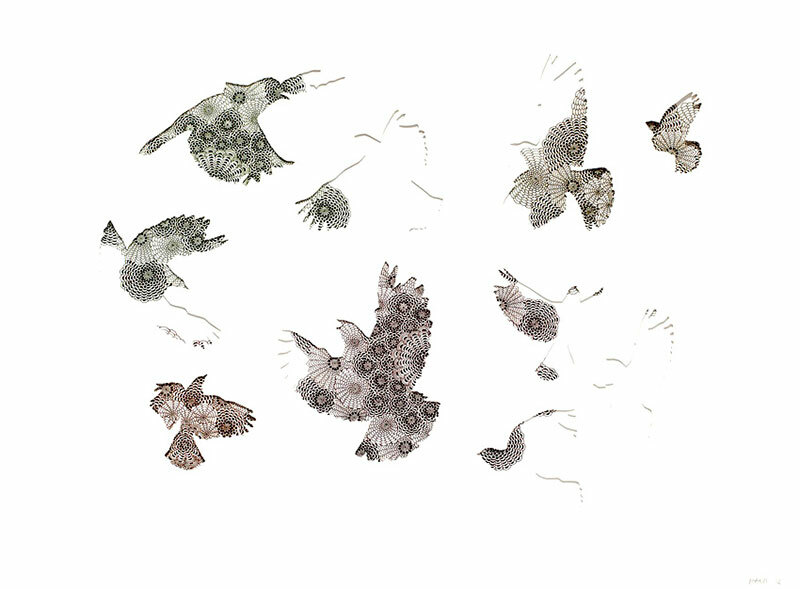 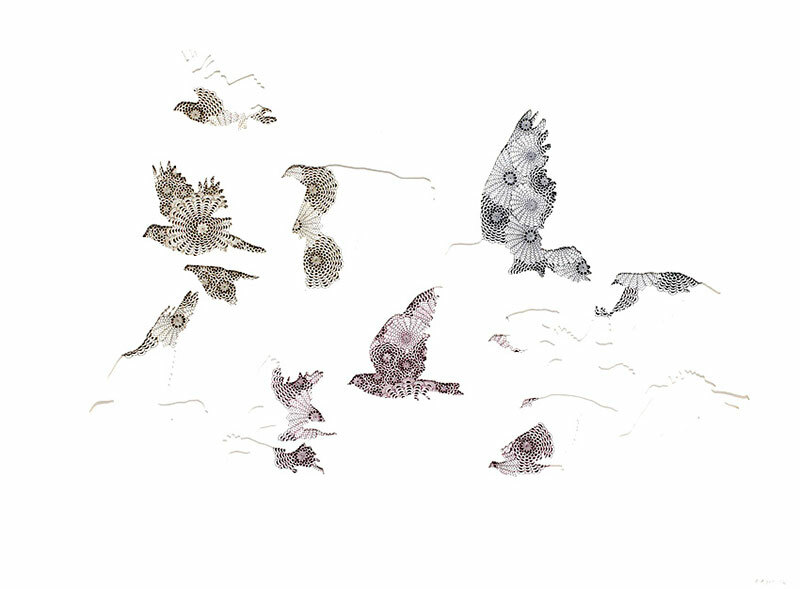 Her circular motions include forms that symbolize the artist's experience with migration incorporating animal silhouettes that represent our fears, anxieties, and the possibilities of personal freedom and continuous renewal. 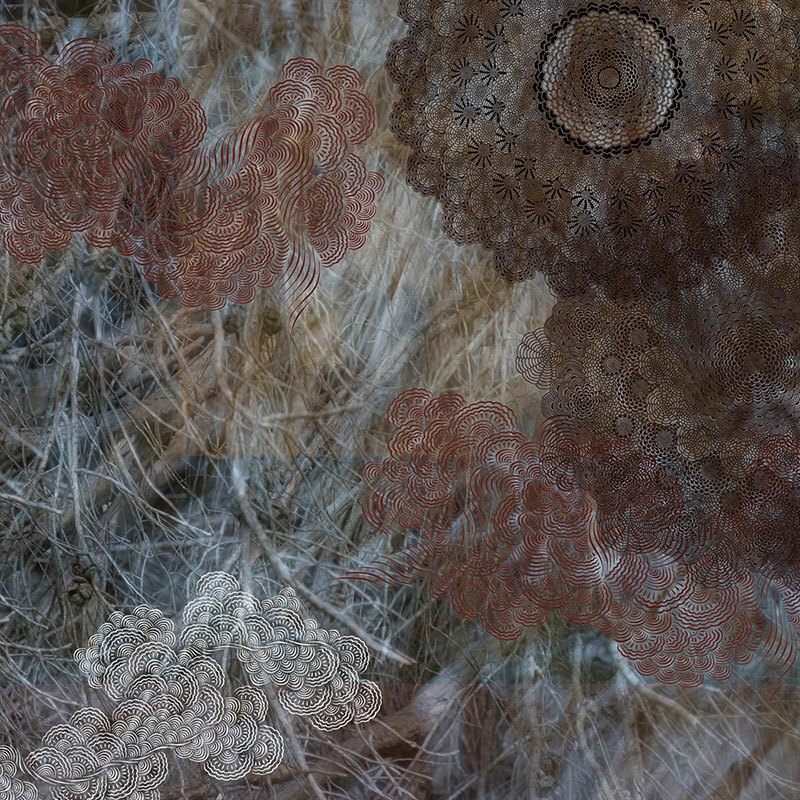 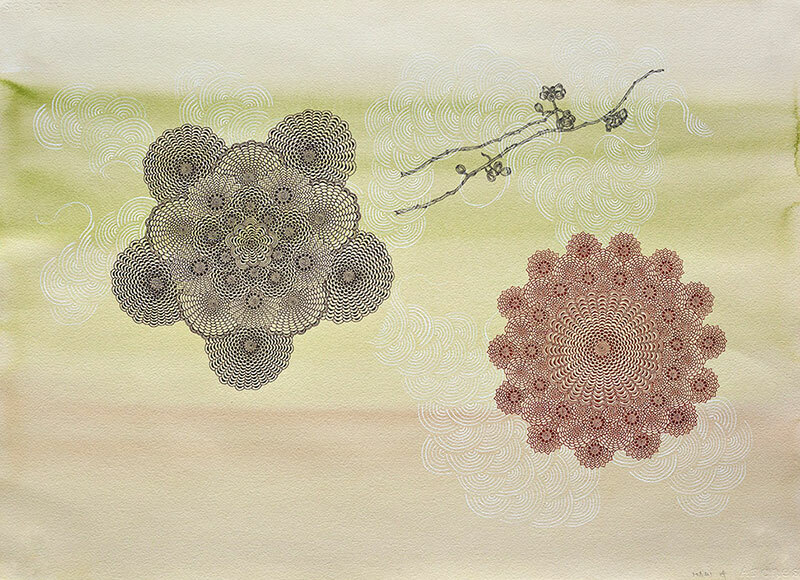 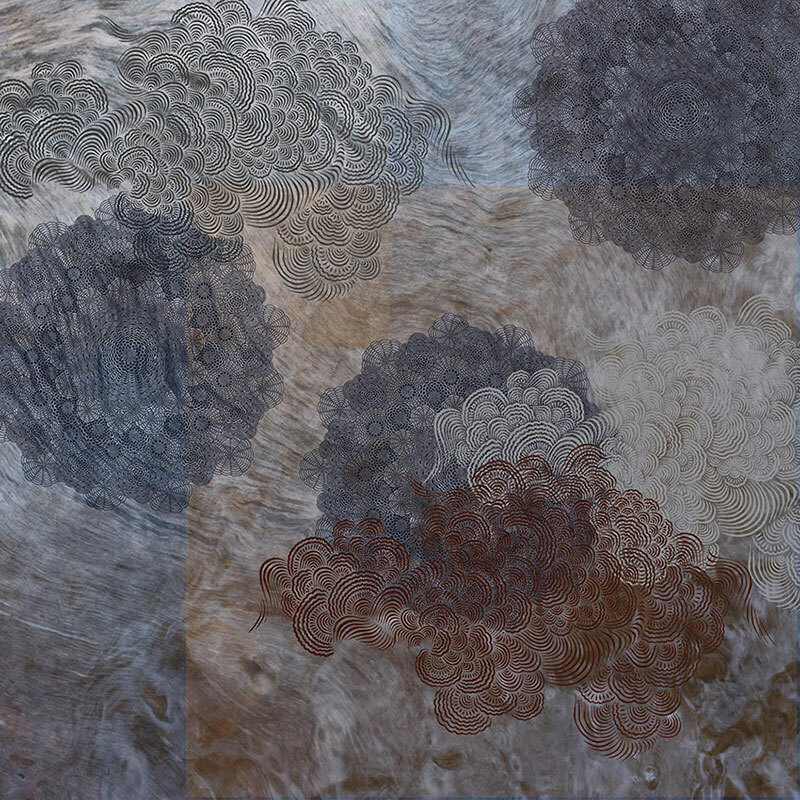 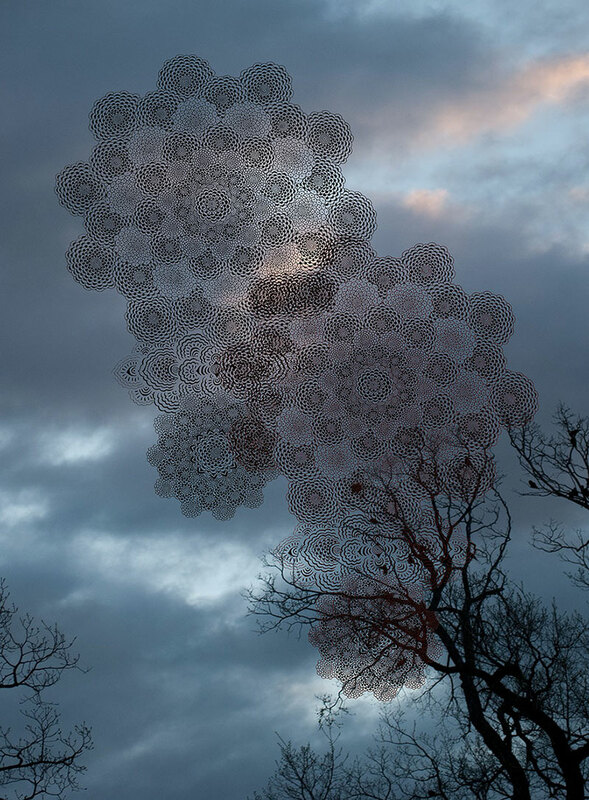 As well as deconstructing fragments of memory, Yamanaka tries to capture fleeting visual impressions and describes her work as "the outcome of reflection on my inner thoughts and my inner self, as I interact with the world around me"
For me, pattern making always represents creating something new, and the pattern will expand and continuously grow if I keep drawing with a circular motion outward. 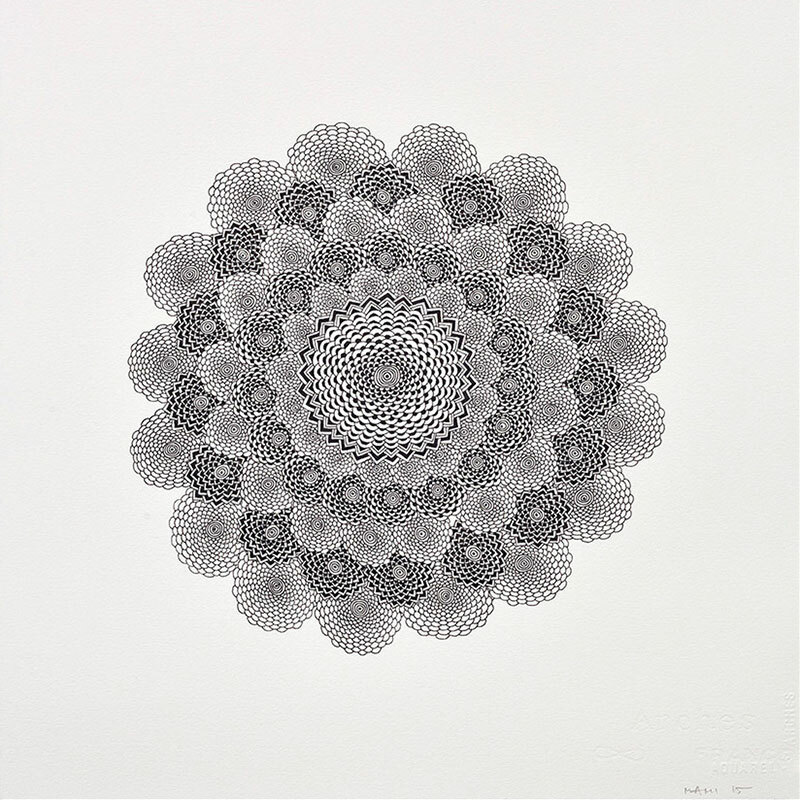 I believe we all create something new for our life starting from a tiny dot, and it will continuously grow to the extent of what we would like it to be. 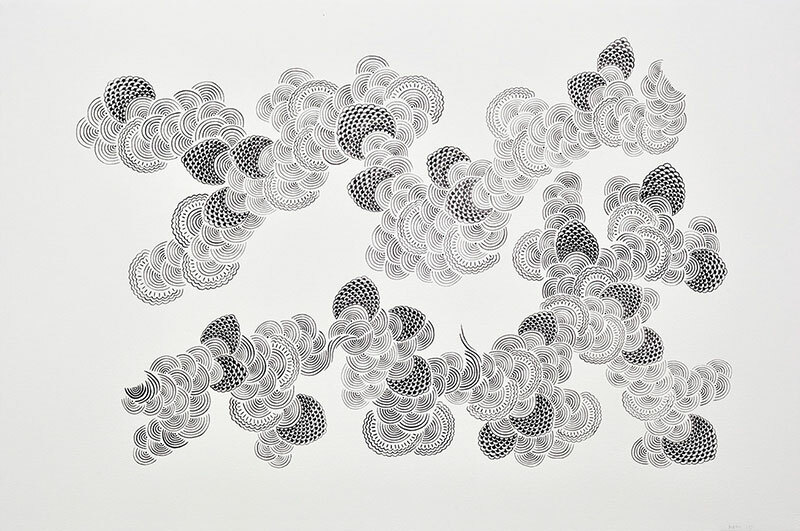 Complex pen and ink drawings of patterns by Japanese artist Mami Yamanaka based in Melbourne.